Yes To, the brand that brings us nature based beauty introduces specialized care for dry skin. 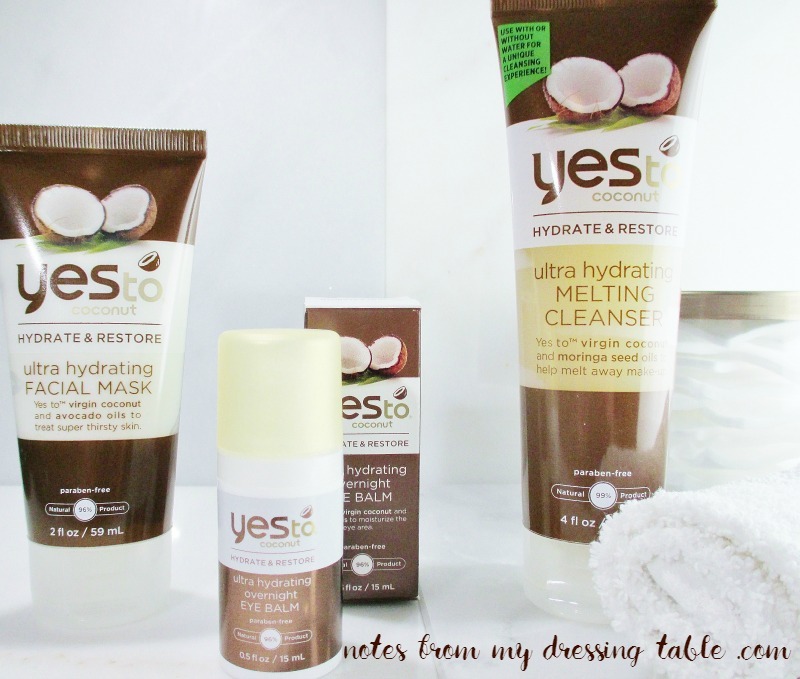 The Yes to Coconut Collection was created to hydrate and restore dry skin and hair while smelling delicious. I received three products from the line to try and share with my gentle readers. Yes to Coconut Ultra Hydrating Melting Cleanser is an Ulta Exclusive. The tagline for this product is, "We'll stop the world and melt with you!" This thick, balmy cleanser has a light, sweet coconut scent and breaks down makeup and cleanses thoroughly without stripping or irritating my dry skin. 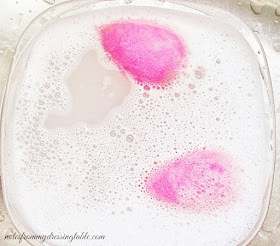 I remove my eye makeup with my favorite remover then dispense a dollop of the Melting Cleanser into my palm, lightly rub my hands together and massage all over my face, then add a little warm water to transform the balm into a light, creamy emulsion to completely clean then rinse away with a warm face cloth. My skin feels fresh, clean, hydrated and comfortable. I like this cleanser and I will purchase it, when this tube runs out. Yes to Coconut Ultra Hydrating Facial Mask. Say "Yes!" to this mask brimming with virgin coconut and avocado oils and soothing, detoxifying natural clay and "Hello!" to soft, moisturized skin. I slather a generous coat of this white, creamy-dreamy concoction all over my face, relax for ten or fifteen minutes while I enjoy the fresh, light coconut scent then rinse it away to reveal a plumped, happy, hydrated complexion. I am impressed as I can be with this lovely mask and yes, I will grab another tube when this one is gone. Yes to Coconut Ultra Hydrating Overnight Eye Balm. This Ulta exclusive is a triple threat of virgin coconut oil, shea butter and argan oil that combined, deeply hydrate and nourish the delicate skin around my eyes. A little bit of this rich, smooth cream gently tapped in around my peepers temporarily plumps and reduces the appearance of fine lines and aging. I prefer this for night, as it is a little rich for under makeup, for my taste. In my eyes (see what I did, there?) this is another winner for this line and I will treat myself to a new one, once my sample is depleted. I am enjoying and benefiting from these three skin beautifiers and I want to further explore this line. It is ethical, efficacious, delicious and affordable. 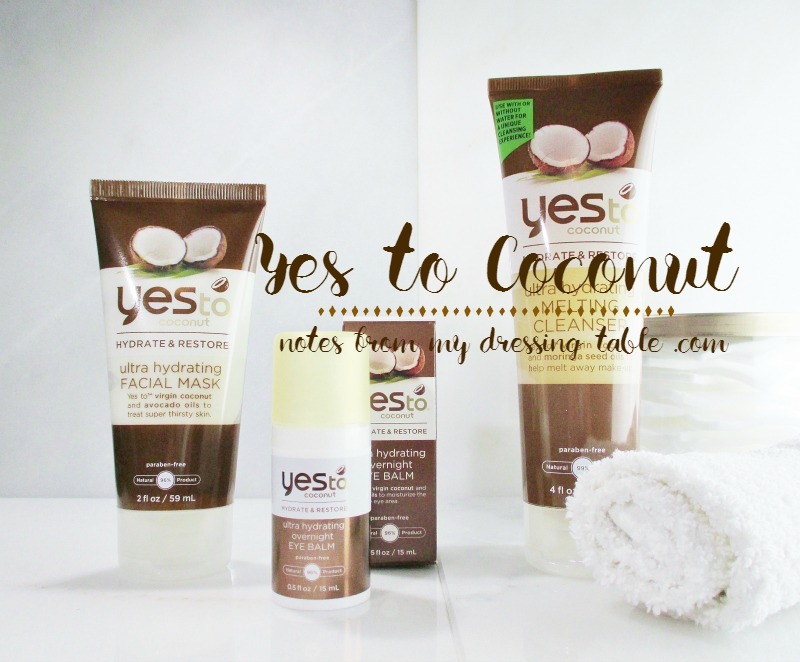 Yes to Coconut beauty can be found at Ulta and other retailers that carry the Yes To line. Yes to Coconut products are at least 95% natural, free of parabens, phthalates, SLS, chemical sunscreens (YAY!!!! ), and other harsh, potentially harmful ingredients and their packaging is recyclable. Yes To is Leaping Bunny certified cruelty free so you can feel good about enjoying their products. Visit Yes To on Facebook, follow them on Twitter and Instagram. Are you a fan of Yes To? 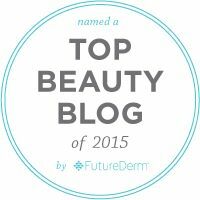 What are your favorite products?